It’s Christmas today on the blog. 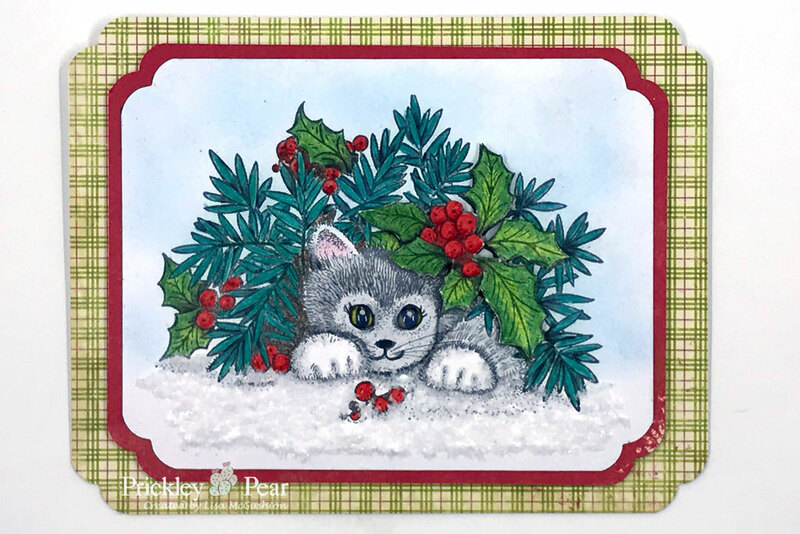 Even though cats and I don’t mix well, I love the new Kitty and Holly stamp. I layered some of the holly and Kitty’s paws. Looks like she is ready to pounce. 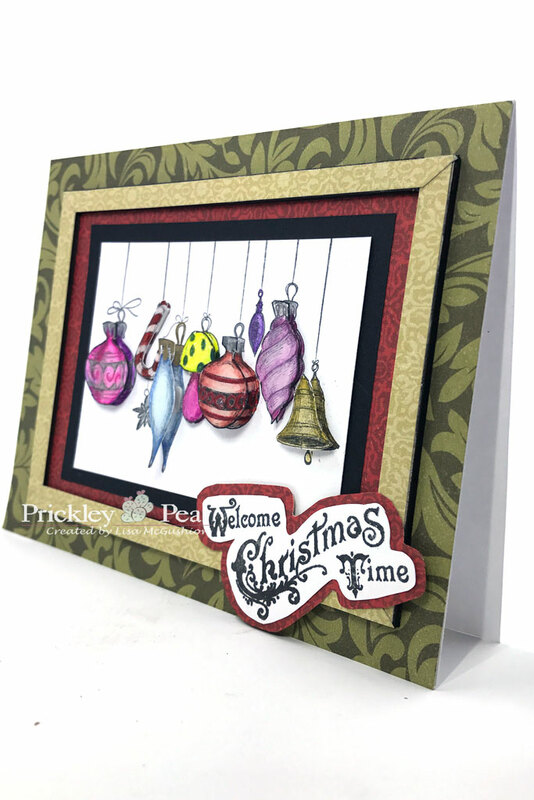 For this fun card I created a chipboard frame around the Glass Ornaments and layered them inside. A touch of Glossy Accents and the sentiment Welcome Christmas was all it needed. Check out more inspiration on the Prickley Pear Blog. All the dies and stamps can be found at Prickley Pear Rubber Stamps under New Releases. Don’t forget you can get FREE SHIPPING (US Domestic) on your order over $15 through Sunday. Just use the code FREESHIP at checkout.